In 1946, with only a pick-up truck and a strong back, Al Williams began his business. While landscaping in his local area, he saw a need to grow his own trees and shrubs. Starting with only two acres and a few liners, he started his nursery. Sixty years and over 600 acres later, his dream is still growing. Even though Al has departed, his family remains very involved in a business that has developed into one of the most productive wholesale nurseries in the Midwest. Located on Crowley’s Ridge in Northeast Arkansas, our nursery stock flourishes in the richest creek-bottom soil in the area. With the addition of drip irrigation, our plants thrive throughout the growing season. Al Williams and Son Nursery has over 300 acres in production. We pride ourselves in producing the best quality shade and ornamental trees, flowering shrubs, conifers, and evergreens. Our crews spend countless hours staking and pruning our trees to insure well-structured plants. 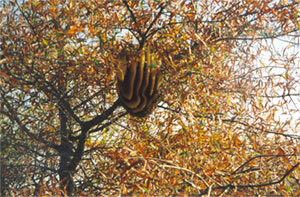 All trees over six feet tall are machine dug with Caretree spades and placed in wire baskets lined with treated burlap. As our business grows, we encourage your business to grow with us. We welcome new customers with farm tours on a daily basis.